Material Handling Equipment in China Archives - Liftomatic™ Material Handling Inc. Drum Equipment Rental Services, Demonstrations, & Trials at Liftomatic Material Handling, Inc.
Liftomatic has been seeing a lot of growth in our international market in recent years. 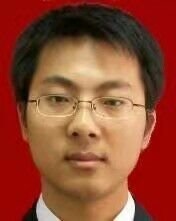 To meet these rising demands, we are pleased to welcome our new sales associate at Liftomatic’s Wuhan branch in China, Ray Zhang. Ray brings a strong technical background, studying engineering, manufacturing, and mechanics at Hubei University of Automotive Technology. He later shifted his studies toward marketing, studying international trade, commercial practices, and economics. All of these skills came into play as he worked in the Beijing area for 7 years, focusing his career on exporting, client negotiations, and retention. While his career was taking off in Beijing, he decided to bring his skills and experience back home to Wuhan. Settling into his role at Liftomatic, Ray is now tasked with developing our international markets in South Asia, Africa, the Middle East, and beyond. He works directly with customers and distribution outlets throughout the region. We look forward to seeing how he will continue to grow our position overseas. Now that he is back home in Wuhan, Ray enjoys spending time with his family. He is also an active outdoorsman, enjoying running, rock climbing and swimming. Liftomatic is pleased to welcome Ray on board and are confident in his abilities to improve customer development and retention in the years ahead. Welcome to the team, Ray!